These panels were created so I could experiment with other media after I spray my chalk pastels with fixative. Often fixative will keep the piece from smudging, but it will alter the values and color, unfortunately. I'm trying out other media to decide what is the best way to work on top of the piece after fixative. This one is called "Winter" and I used gouache and prismacolor pencils. This seems to be a good combination. 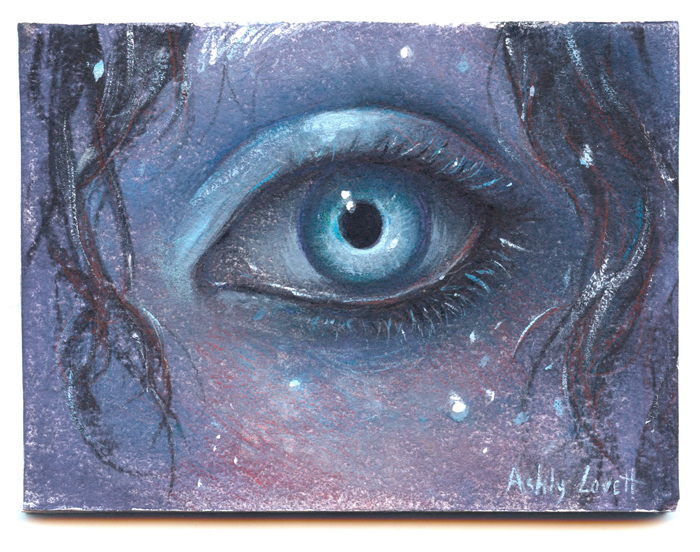 You can purchase this mini-original in my store: click here. A thank you to Kelly McKernan for her tutorial, which I used as a reference when creating this step-by-step guide. She follows up with how to varnish watercolor pieces and the post is definitely worth looking at. Click the image to see it larger or save it to your desktop.